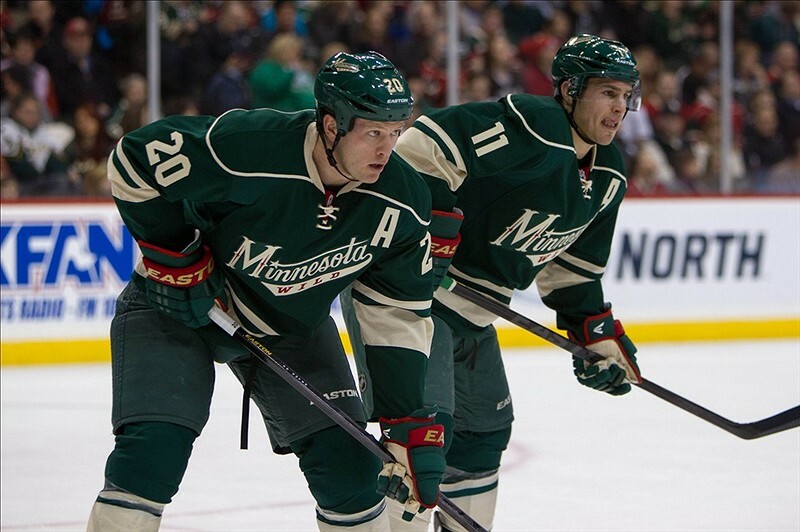 It’s looking like Zach Parise is becoming the superstar he used to be more and more each day. The 30 year old has had an eventful NHL career, now in his 10th season. He’s had more ups and downs than a roller coaster throughout, but it appears he may be hitting another peak in the 2014-15 season. A great thing for Minnesota Wild fans, and a horrific thing for every other team. In Zach Parise’s draft year of 2003, he was expected to go 10-15th overall. Playing in the NCAA with the North Dakota Fighting Sioux, Parise had been impressing scouts from all over the NHL, all year round. He had showcased tremendous skills, incredible speed and a compete level that was second to none. In what was the most talented draft in recent memory, Parise was expected to be one of the better picks. However, when it came to Draft Day, teams seemed unwilling to take a chance on him, due to his somewhat smaller stature. Once the New York Islanders and San Jose Sharks also passed on Parise, TSN broadcaster Pierre McGuire began to lose his cool over the fact that no one would take this budding superstar because of a 5’10 frame. Then, at 17th overall, GM Lou Lamerello of the New Jersey Devils refused to pass up the boy wonder. 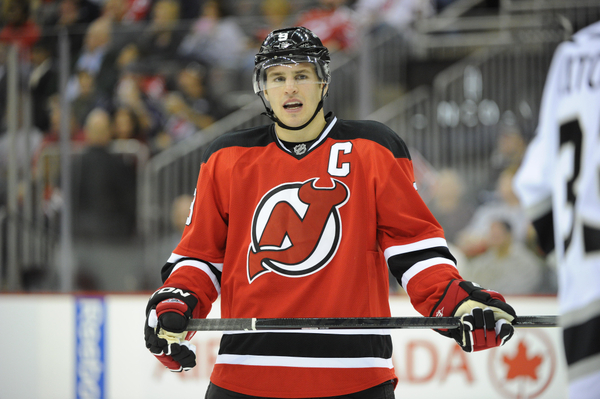 Zach Parise would go on to have a wondrous career as a Devil. After a somewhat quiet rookie season, he had the opposite of a sophomore slump. In just his second career season he would score 31 goals and 31 assists. A 30-30 season in just your second year is incredible. He followed that up with, guess what, another 30-30 season. Them, in 2008-09, his hard work and determination paid off. He recorded his current career high in goals and points with 45 and 94, respectively. It was now certain, at just 24 years old, Parise was one of the best all around players in the entire league. He slowed down a little, but not much the following season, scoring 38 goals and 82 points. Then, on October 30th, 2010, Parise suffered something that would alter his entire career. Zach Parise suffered a devastating injury. He had torn his right meniscus, an injury that would require surgery and would keep the all star winger out for 5 months. When he returned, he didn’t seem like the same player which was threatening the lead the league in scoring just two years earlier. He seemed to have lost his creativity and ability dangle through opponents, instead focusing more on the puck battle and the type of play that results in ugly goals. After a Stanley Cup run with the New Jersey Devils in 2011-12, and a return to a 30-30 year, Parise faced unrestricted free agency for the first time in his career. He was torn between the option of remaining with the only NHL team he’s ever been apart of and heading back home to play in Minnesota. Obviously, he ended up choosing to head home. In 153 games in a Wild sweater, Parise has amassed 64 goals and 64 assists for a total of 128 points. With 0.837 points per game, perhaps Parise is actually playing better than most give him credit for. Not to mention his top notch leadership with his team, he seems to be the one who gets this team going each and every night. In 2009-10, the year before his injury, Parise was the leading scorer on a talented Olympic American team. He led them all the way to the Gold Medal Game and when they were down by one with under a minute left to play, who else but Zach Parise was there to send the game into overtime. He would have to settle for a Silver Medal. Then, in 2011-12, Parise captained the Devils all the way to the Stanley Cup Finals and within two wins of a Stanley Cup. But, again he would have to settle for runner-up. 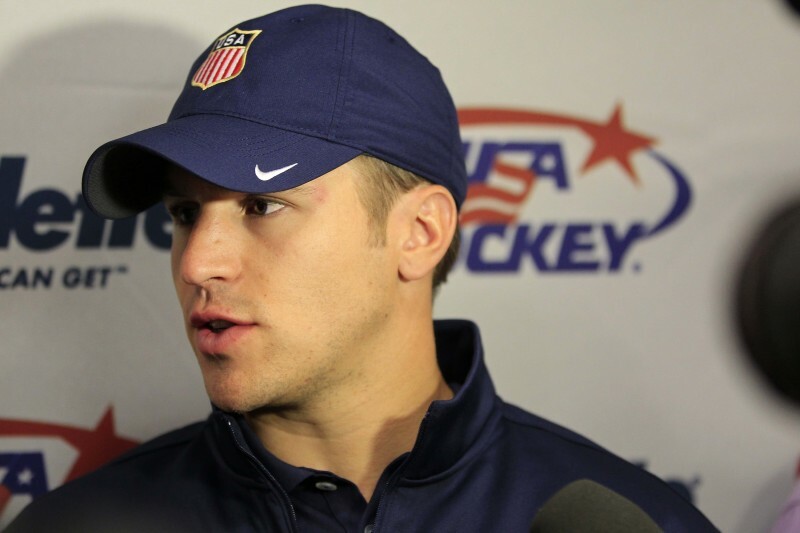 In the past Olympic Games of 2014, Parise was the captain of the American team. After tearing his meniscus and missing 5 months of game action, Zach Parise seemingly never got back up to the level he was at prior to the injury, until 2014. In the remaining 30 regular seasons games in the 2013-14 season, he put up 14 goals and 15 assists. Then, in 13 playoff games, he scored 4 goals and 10 assists. Lastly, from October through December of this season, he posted another 14 goals and 15 assists in 30 games. So, in the 2014 calendar year, Zach Parise played 73 games, totalling 32 goals and 40 assists for a grand total of 72 points. That gives him 0.986 points per game, a pace that would have him 15th overall in league scoring this season. It’s not only the point totals that are back up for Parise though. He’s becoming noticeably stronger in all aspects of the game. He’s back in those puck battles showing the intensity that scouts raved about before the 2003 NHL Draft. He’s quickly become the heart and soul of the Minnesota Wild, although he’d likely be happier if they were doing better in the standings. But, for now we’re looking at Parise as an individual, however much he may hate that. And as an individual, it’s certain that he is has cemented himself back among the top tier of players in the NHL. Each and every night he brings a passion to the game that is second to none and always has a leader’s attitude. He wants what’s best for the team and is willing to do whatever it takes to get the win. It’s safe to say, Zach Parise is back among the Top 20 players in the NHL today. Where do you think Zach Parise ranks in the NHL today? Discuss in the comments!